Rob Schmansky, CFP® is the founder of Clear Financial Advisors, a registered investment advisor in Metro-Detroit, Michigan. 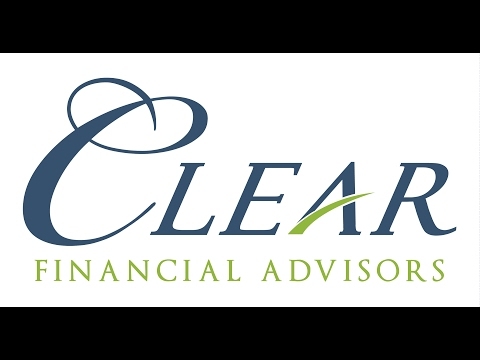 Clear Financial Advisors provides Fee-Only wealth management services. Rob’s career mission has been to promote credentialed, holistic financial planning awareness among the public. In addition to his role as an advisor, Rob is an Enrolled Agent (EA) helping clients in tax matters and tax planning. He also holds a Life Insurance Counselor license. Rob has also take post-graduate classes and received certificates in taxation and financial asset management. Having over a decade of experience with the media, Rob is frequently quoted in the media, including the Wall Street Journal, New York Times, Forbes, CNBC, ABC News, CNN Money, Reuters, Detroit Free Press, Chicago Tribune, Dow Jones Newswires, MarketWatch, National Public Radio, and other publications. He has been published by Forbes, US News & World Report, FiLife (a former IAC / Dow Jones joint venture), Yahoo! Finance, and other outlets, in addition to his own Clear Money Blog. In addition to his work as a personal financial advisor, Rob is an adjunct instructor of economics, and he has also taught the required courses for candidates to sit for the CFP® examination. He has contributed to the retirement planning knowledge requirements for those seeking international CFP® certification under the Financial Planning Standards Board. In his free time Rob enjoys listening to non-fiction audiobooks, coaching youth lacrosse, and jogging. Don't let the government play money manager with your college savings by investing in a 529 plan. Here's why. A case for why the new fiduciary rule will hurt advisors and their clients. An argument for why the Trump administration should repeal the fiduciary rule. Investopedia hosted a panel of financial advisors to discuss technology, robo-advisors, the Fiduciary Rule, millennials and how they intersect. Equity-indexed annuities have a good reputation as a savings plan among conservative investors, but a closer look at three EIAs reveals a harsher reality. ETFs have a few disadvantages in my opinion. First, they trade on the market and can trade at premiums and discounts, which can easily wipe-out any difference in expense ratios (if there are any between similar funds). Similar to that point when you purchase a mutual fund you buy in at cost, whereas when you trade during the market you may not. Finally, ETFs are not as liquid as funds, and that often causes issues with trading, and being out of the market. ETFs trade T+3, and depending on the platform you may have to sit out that time before buying. Mutual fund proceeds are available the next day (assuming trades go in before close). Mutual funds are more liquid, give a guaranteed cost, keep you invested while rebalancing, and are far easier to trade. ETFs have some benefits that can be useful, but overall I find funds are more appropriate for long-term investors. What is the difference between a REIT and a real estate fund? REITs can come in different investment vehicles, and most real estate funds will be invested in a variety of publically traded REITs in some way. Another type of REIT is what is known as a “non-traded” REIT. These are entities that pool money from investors to invest in similar ways to REITs that are traded on stock exchanges. The main difference however is these are private investment pools. Non-traded REITs vary much more significantly as an investment vehicle from those found in real estate mutual funds or exchange-traded funds (ETFs). They typically lack liquidity provisions (you are in it until the fund dissolves, unless you can find a buyer but this is not often wise! ), are more concentrated in how they invest (they may only invest in commercial, student housing, or mortgages). Some of these REITs have gotten into trouble in recent years, as regulations have required more disclosure on the actual worth of the properties and relationships between the investors and the management of the REIT. If you are considering an investment in a non-traded, private REIT t is important to do your homework. Since many of these partnerships also manage real estate for institutional investors, it is important to know how they determine when they are working for you – the retail investor – or other larger investors. Turn off the news. Stocks always reach new highs, and that's simply the sign of increasing profits. You need to expect this to happen in a normal market, not worry about it when it happens. Also, you're 34 years old. You don't need to be watching the DJIA. These are a few large US stocks. You need much more investments in terms of mid, small, value, international, emerging, etc., to balance your risk and increase returns. The DJIA is a tomato. You need to invest in a salad. If you invested in large US stocks, you've seen a decade of 0% returns. If you diversified, I can show similar indexes of stocks that doubled during the same time period. I assure you the money that you invest for decades down the road will be far higher. And, you shouldn't worry about each 'high.' You should worry about what mix you have that may give you the best chance for the most growth. Over decades, that won't be the DJIA.